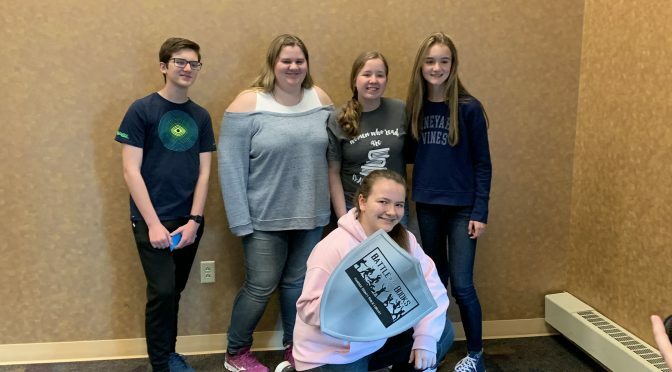 Photo Caption: Riley Phelps, Lucas Horsman, Mackenzie Willett, Lauren Silcox, and Lilly Ward, all 9, pose after they won third place at the Battle of the Books competition. Emily Dickinson once said, “There is no frigate like a book to take us lands away.” Battle of the Books is team competition to get students into reading. The annual Battle of the Books competition is coming up on April 17 and the team is ready.